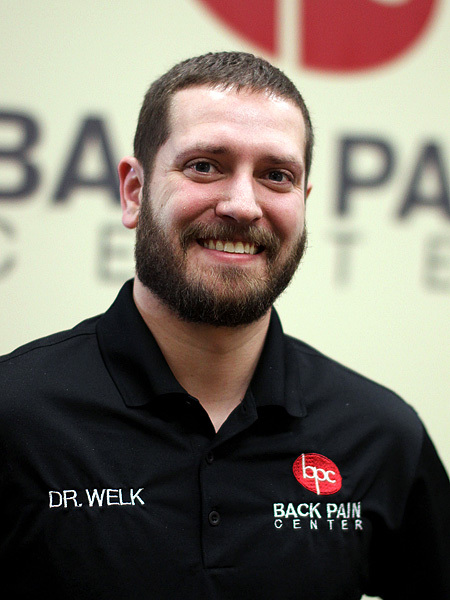 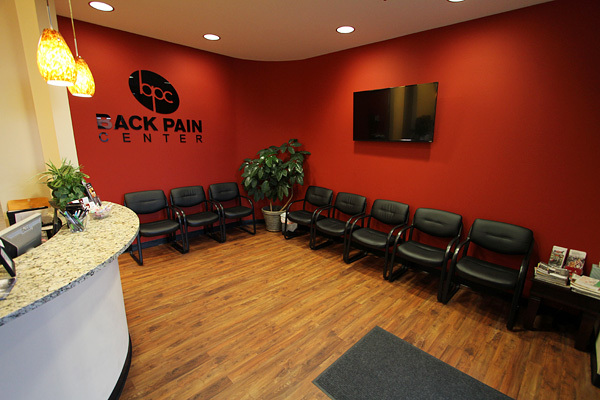 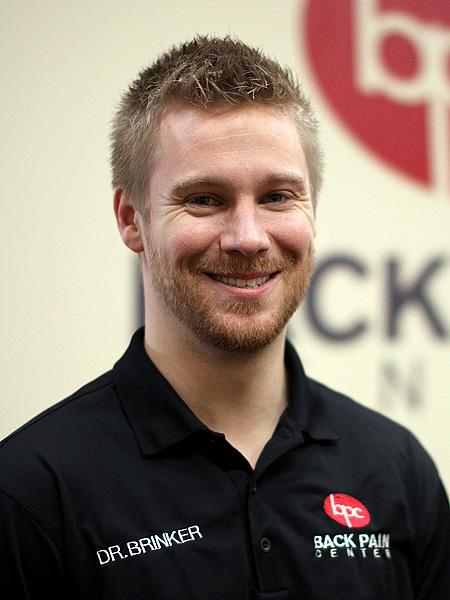 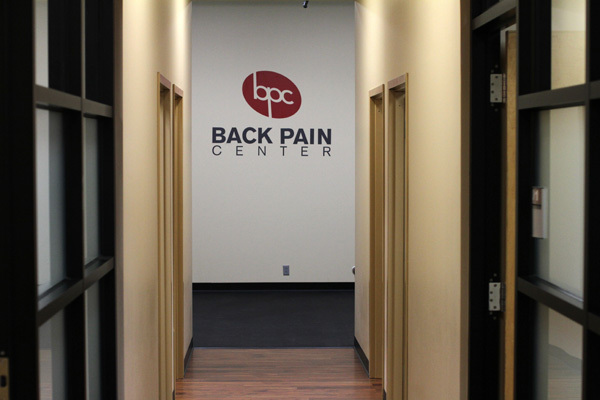 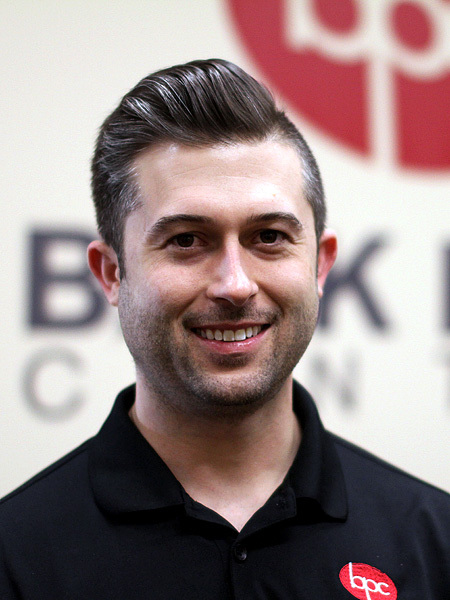 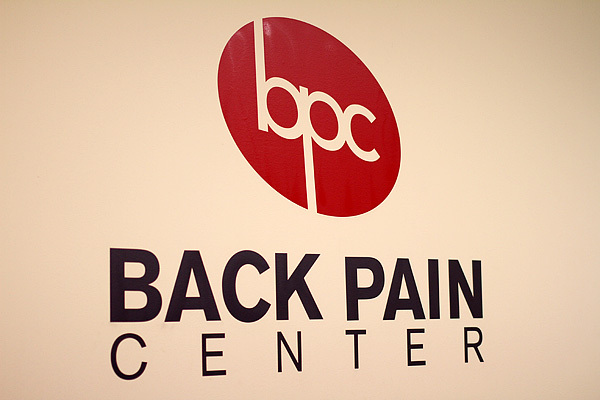 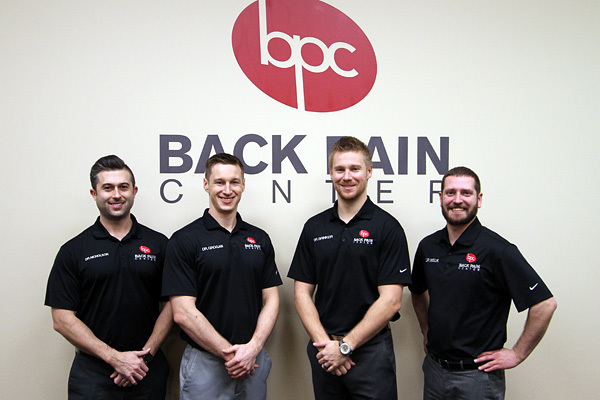 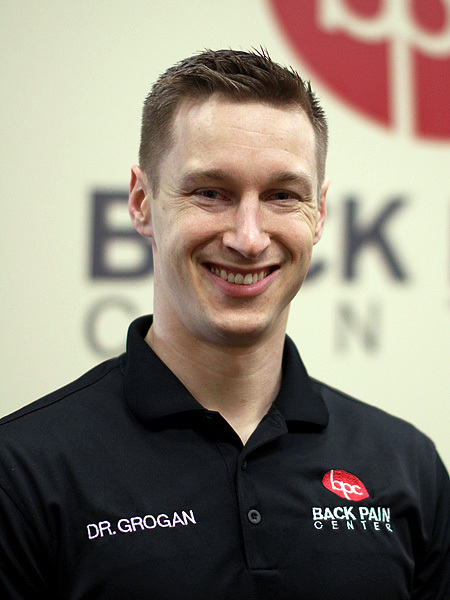 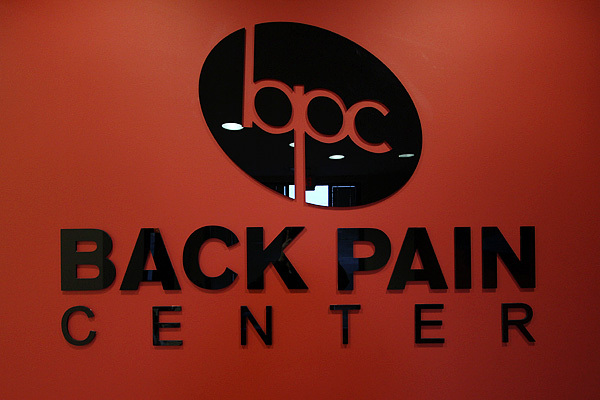 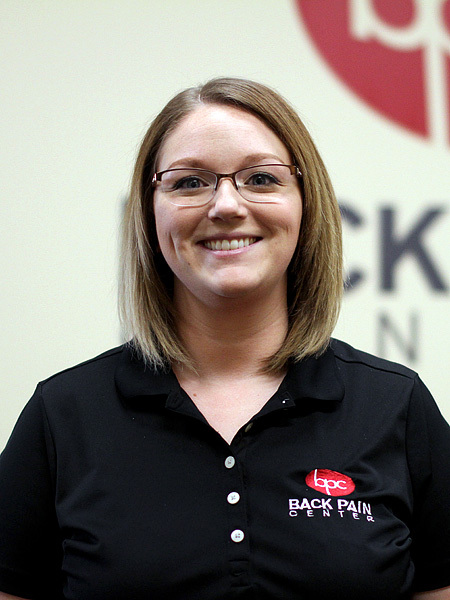 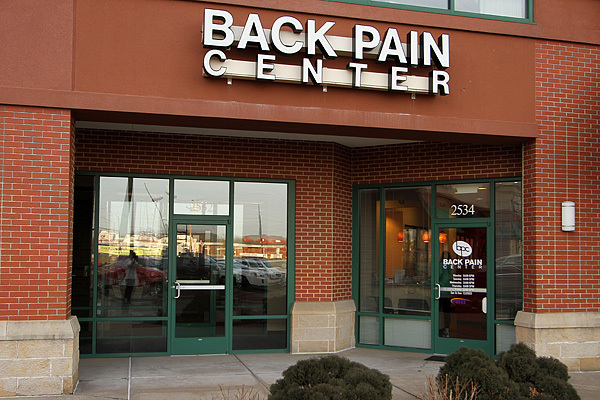 The Back Pain Center team. 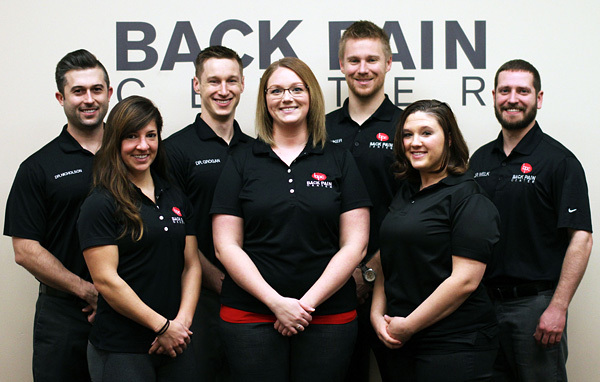 Our awesome front desk staff! 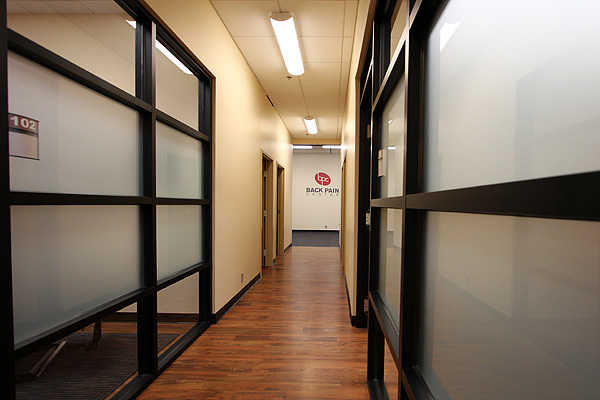 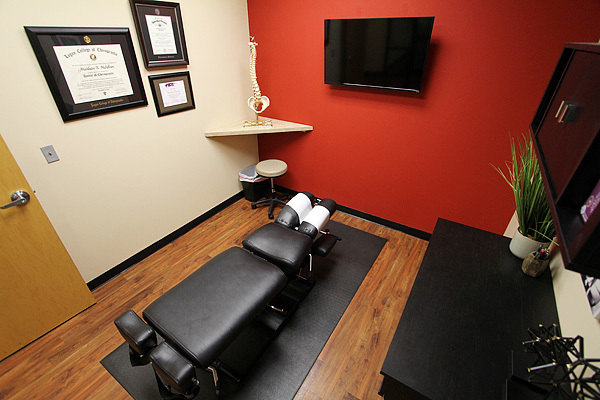 Our new facility is comfortable and modern. 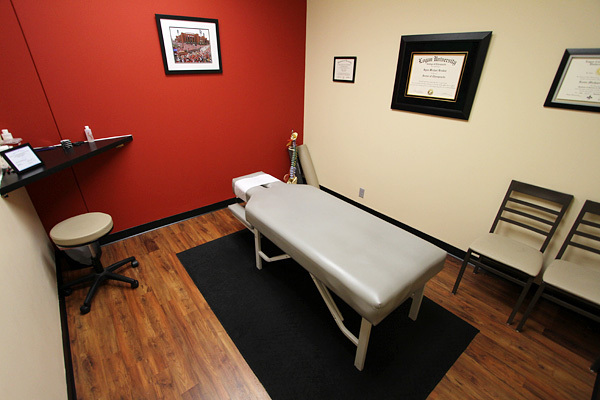 Dr. Nicholson working with a patient. 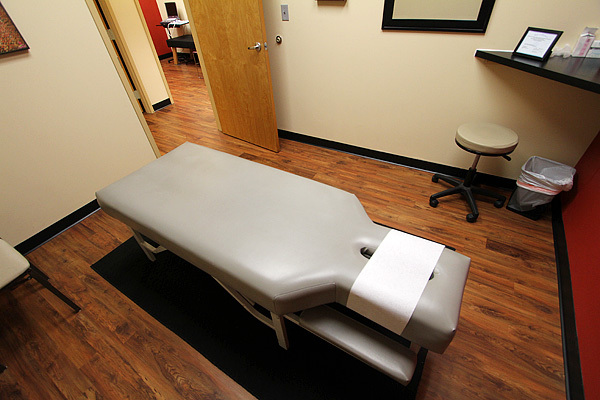 Dr. Nicholson helping a patient. 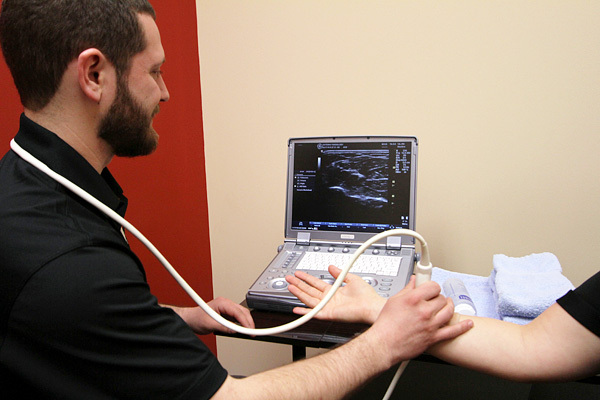 Dr. Welk performing ultrasound on a patient. 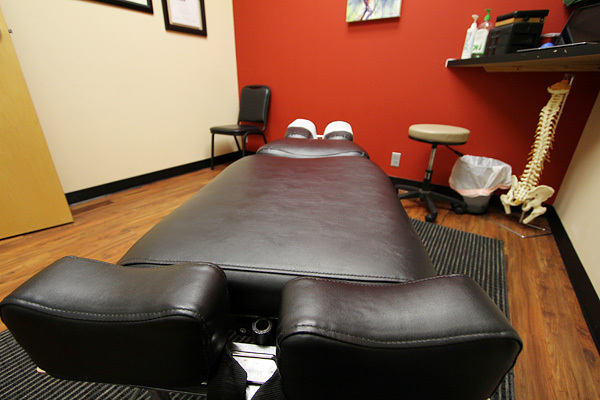 We have several adjusting rooms. 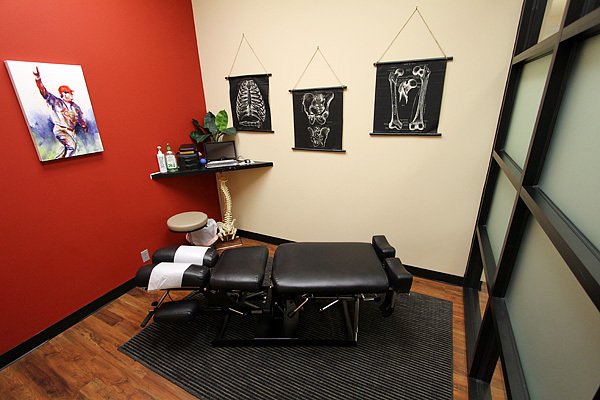 Each of our rooms has a unique function. 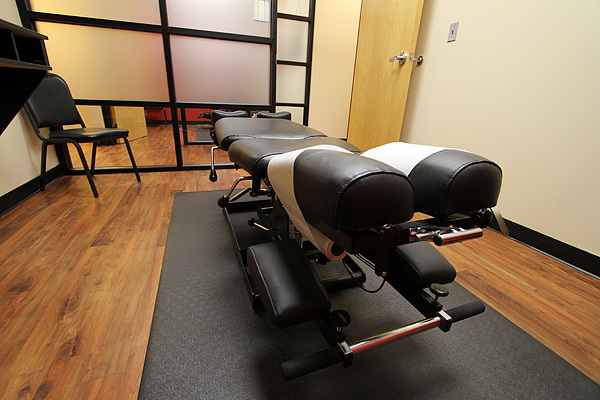 Another one of our adjustment rooms. 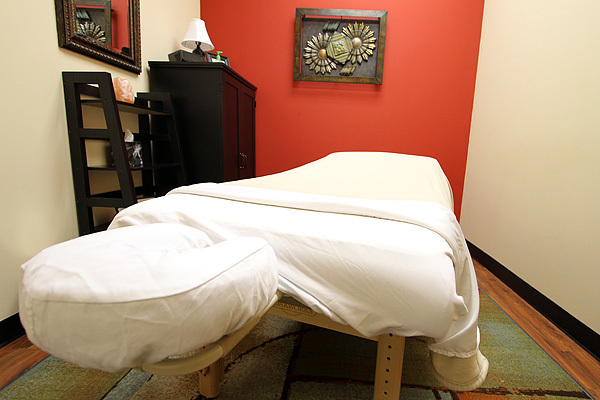 Our massage room is inviting and comfortable. 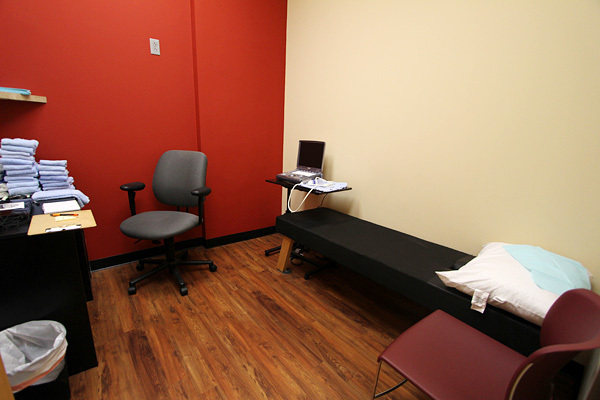 An adjusting room with an in-room flat screen monitor. 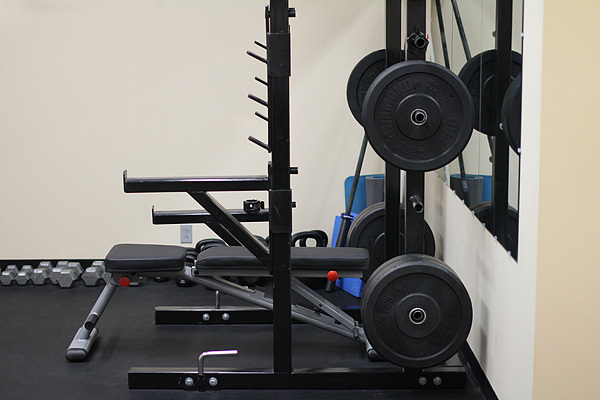 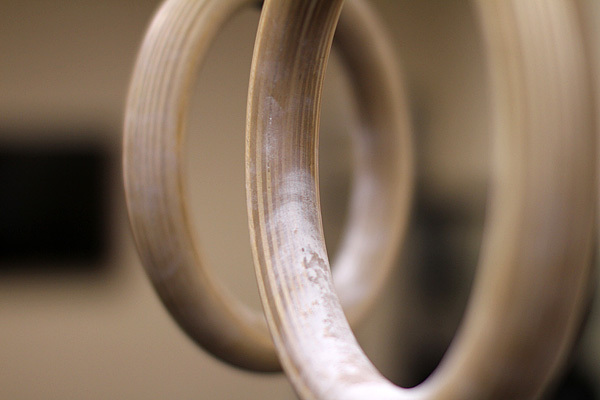 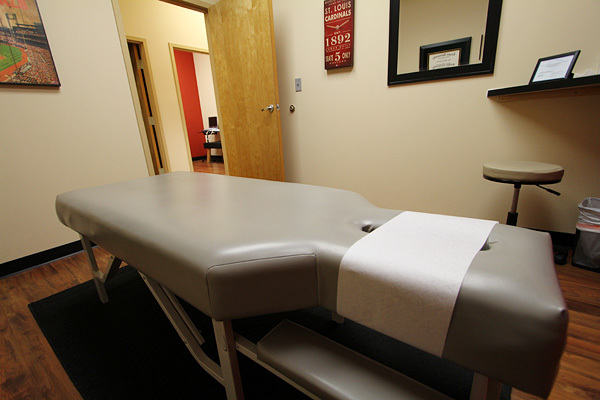 Our fitness area is fully outfitted with everything you need to get well. 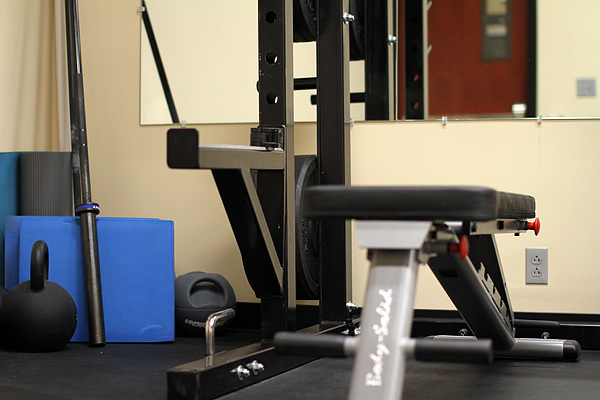 We have a full gym for you to utilize during your prehab treatment. 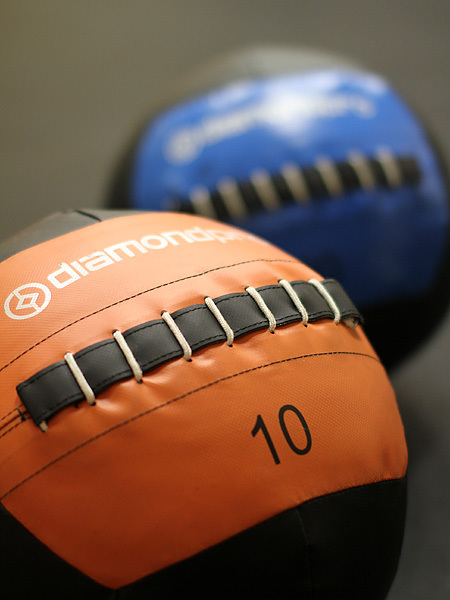 We’ll show you the best way to use the equipment to help your body heal. 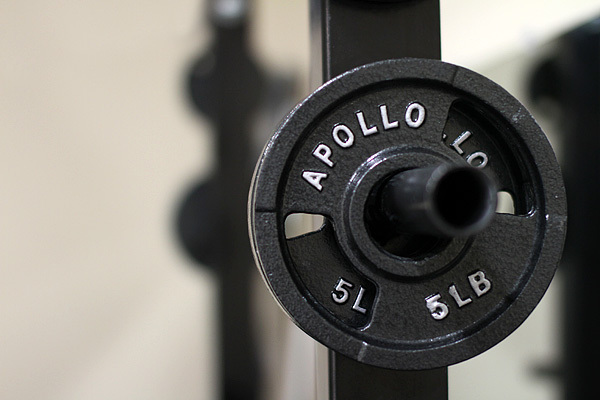 We’ll give you tips and tricks to help make your workout effective. 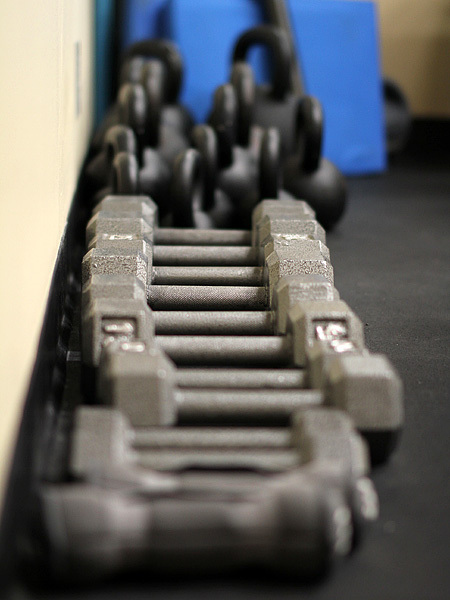 Our unique fitness plans are designed with your goals and limitations in mind. 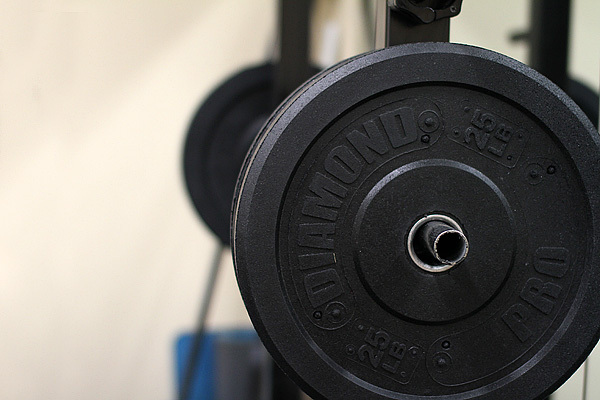 Through strength training, we help your body heal, recover and renew.